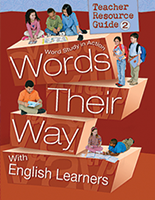 Words Their Way: Word Study in Action Developmental Model. 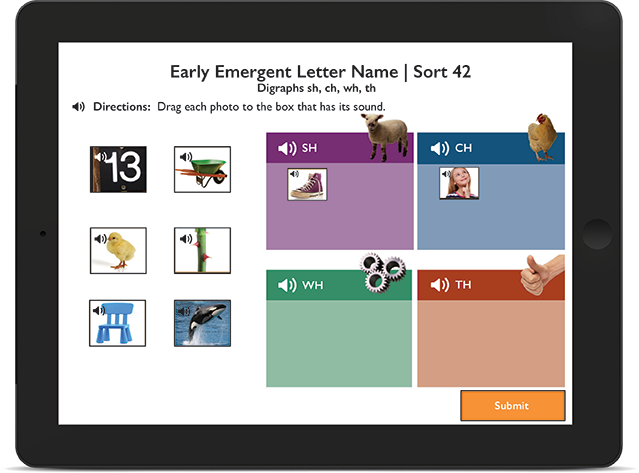 Following the 5 stages of spelling development, this classroom-ready package features all materials needed to assist teachers to instruct in phonics, vocabulary, and spelling. 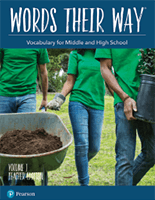 A companion to Words Their Way: Word Study in Action, Words Their Way: Digital allows teachers to implement the proven word study instructional model on any device. 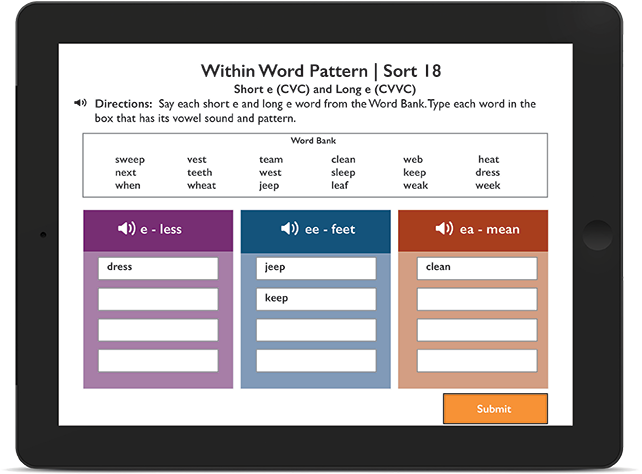 Students have access to a large array of word study practice activities and receive instant feedback on their work. 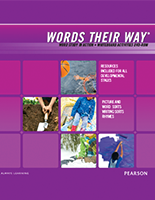 Words Their Way: Word Study in Action Developmental Model aligns students’ spelling development into the following five research-based stages. 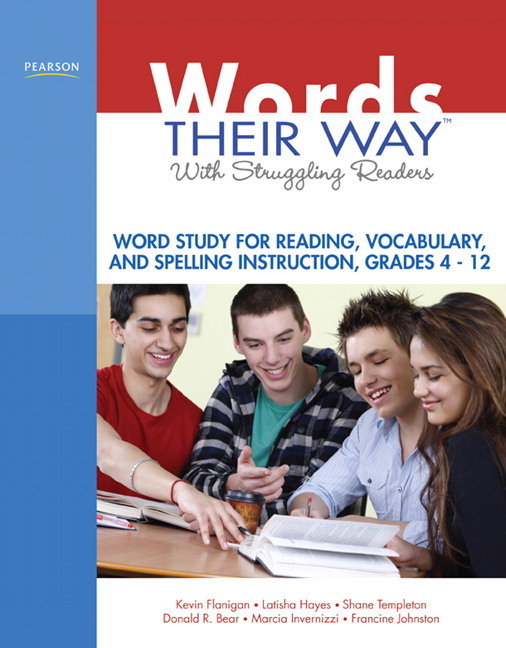 This developmental model recognizes the synchronous nature of reading, writing, and spelling, and has identified common characteristics of readers, writers, and spellers along the literacy continuum. 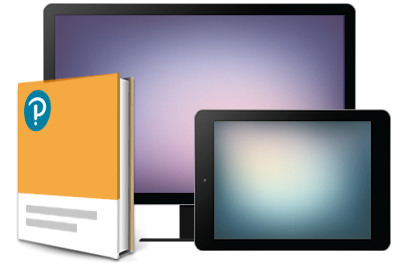 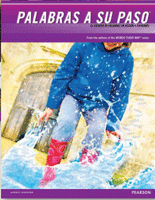 View writing samples to gain a sense of the five developmental stages.